Ulefone announces to the world its newest bet in the smartphone market with the launch of Ulefone Note 7. The highlight of the handset is the triple rear camera module which is inspired by the Huawei Mate 20. However, the phone runs on Android Oreo (Go Edition) which may prove a downside. Despite offering some extra features, the Ulefone Note 7 boasts plastic build. According to the manufacturer, this device has been targeted towards the public looking for a smartphone that looks premium. 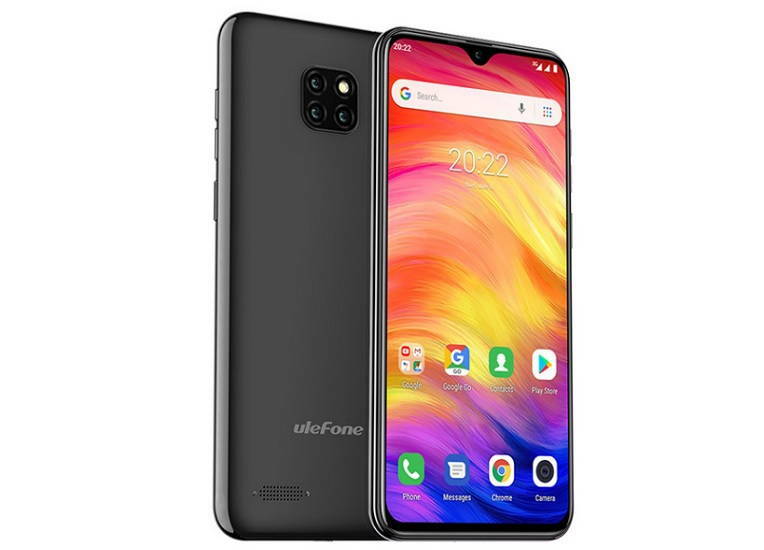 The Ulefone Note 7 flaunts a 6.1-inch display with waterdrop design notch which houses the front camera with a 5MP sensor. To keep the whole set going, the Ulefone Note 7 has a 3.500 mAh battery. There is a MediaTek MT6580 processor. The chipset works in conjunction with 1GB of RAM and 16GB of internal storage (expandable via MicroSD). Now, when it comes to cameras, do not expect something phenomenal. Despite bringing three sensors, the Ulefone Note 7 bets on a simpler set: 8 MP + 2 MP + 2 MP. In addition, one of the most critical points is the lack of 4G support. With this, the user is held hostage by the slow 3G network. Right now, the company has not revealed when the Ulefone Note 7 will hit the market and did not report the initial prices. The phone will be available in Black, Twilight, and Gold color options.